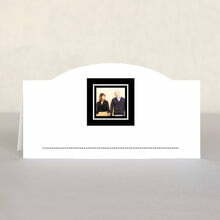 Our personalized photo note cards and custom place cards have been designed specifically for you to add your photos or art so you can have the ultimate in personalized items for your gift, celebration or product. The styles have been designed and given a palette of colors to make them adaptable to all kinds of special events and products, including weddings, baby's baptism, bar mitzvah, 21st birthday party, family reunion or special holiday; as thank-you gifts to customers or to promote your business such as a bed and breakfast, real estate or other business that specializes in personal attention to individual customers. Transform your wedding, birthday, bridal shower, and wine & beer gifts with custom personalized cards that become unforgettable memories from Evermine. 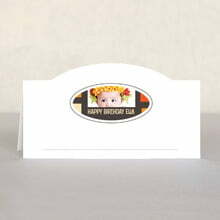 All of our cards are customizable and personalized, and many of them are styled so you can easily add your own art or photo, and size and position it to your liking. 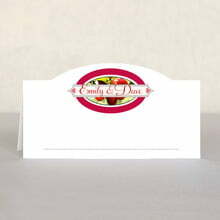 Create unforgettable keepsakes with custom-designed place cards that go perfectly at wedding tables, for a surprise birthday party or any other personal celebration. 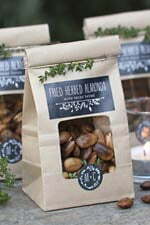 We provide the coasters, plus do it yourself favor ideas for all kinds of parties, bridal shower ideas and plenty of free recipes. 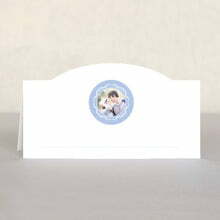 Adding a personal touch to your celebration, from wedding to birth announcement, baptism, birthday, graduation, shower, anniversary, retirement, remembrance, or other special occasion has never been so easy or fun! Make your gifts, celebrations and products extra special with personalized photo note cards and custom photo place cards from Evermine. Looking good has never been easier!